Volvo’s rebirth has arguably reached its most important stage. 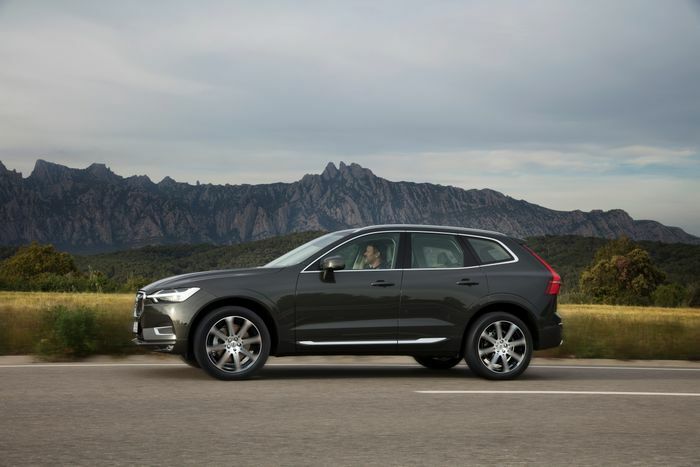 Replacing the XC60 is a huge deal for the Swedish brand, with the car being its most popular model since 2009, not to mention the best-selling mid-size SUV in all of Europe for the past two years. 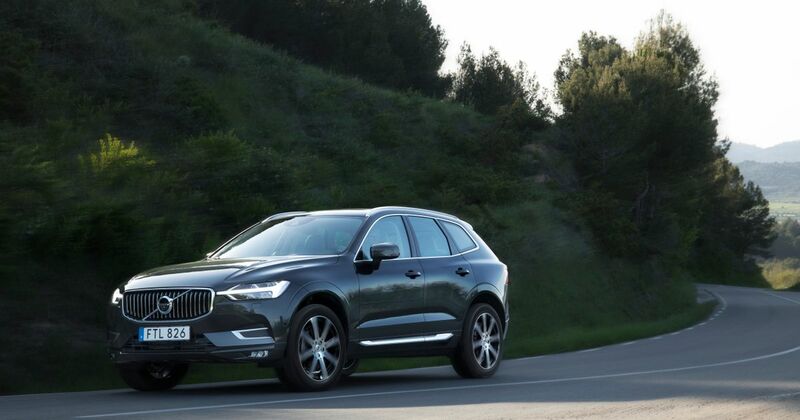 As seems to be the trend right now, Volvo has gone for a particularly ‘familial’ look with its new range of cars. Would we like a little more variety? 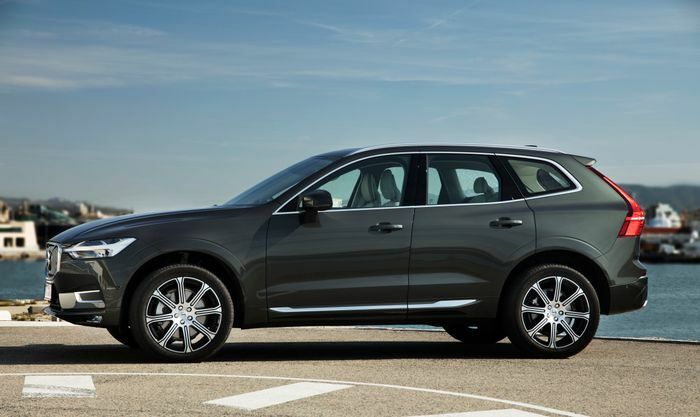 Sure, but there’s no denying the XC60 - which looks very much like an XC90 that’s shrunk in the wash - is a handsome brute. The wide, slatted grille is a highlight, and the tweaked ‘Thor’s hammer’ front light clusters look great now the ‘handle’ runs into the grille. The rear light clusters we’re less convinced by. The way they cut into the middle of the boot lid a la V90 looks a little strange and misplaced. While a little spec dependent, the XC60’s interior is - just like the 90 series cabins - thoroughly delightful. It’s all well laid out, airy, and everything you touch just feels nice. The seats are spot on too: they look great, and give just the right amount of support. While we’ll have to throw in some tired old caveat about “waiting until we drive the car on bumpy UK roads,” the XC60 certainly seems to have ride comfort well sorted. The Inscription-trimmed cars we drove all ran on the optional adaptive air suspension, and soaked up every imperfection thrown the XC60’s way without once being jarring. It’s definitely comfort-focused though, even in Dynamic mode. If you’re into boisterous cornering, you’re better off with something like a BMW X3. If you start to chuck the XC60 around, it will take it on the chin, but with a reasonable amount of body roll occurring in the process. The steering is fairly lifeless too. Volvo’s new motto of ‘relaxed confidence’ is clear here. I’m still not hugely convinced that putting key features like the climate control into the touchscreen is a good idea. 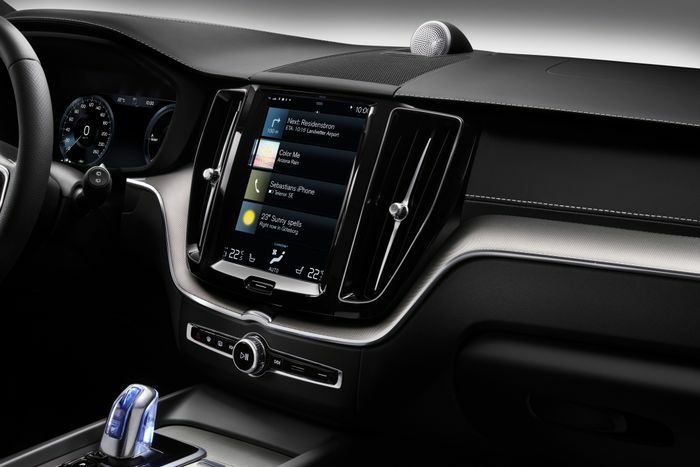 I’ve always thought it ends up being too distracting, but we had a chat to Robert Broström - Volvo’s infotainment chief - and he explained that the whole idea is a decluttered dash with fewer buttons is to make the driving experience less distracting. Regardless, I don’t find it the most intuitive. Despite having used multiple Volvos with the system I still don’t quite know my way around it. The simple task of syncing up my phone via Bluetooth and to play some music seemed to take me a surprising - not to mention frustrating - amount of time. On the plus side though, the touch screen itself is quite possibly the best out there in the automotive world right now. It’s very responsive, and looks great. The first version we tried is the T6 petrol, which we won’t be getting in the UK. That’s a shame, as it’s actually pretty quick, picks up nicely, and even sounds pretty good. With 314bhp on tap it deals with the usual 0-62mph sprint in 5.9 seconds, but the D5 - which we will get on British shores - doesn’t feel far behind. Thanks to 227bhp and a ‘Power Pulse’ system pre-spooling the turbo with a shot of compressed air, it’s nicely responsive for a diesel and hits 62mph from rest in 6.8 seconds. 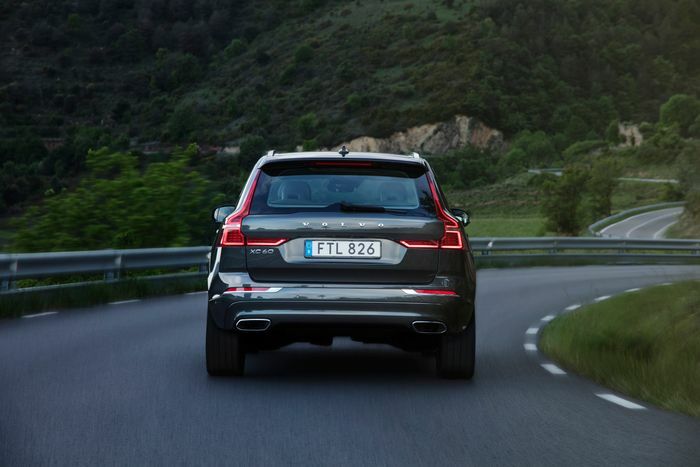 We didn’t have a D4 to try out in Spain, but the slowest XC60 (anticipated to be the most popular option in the UK) still hits 62mph in 8.4 seconds. Not bad. We recently tried out the semi-autonomous system on the new Volvo V90! Autonomy is a touchy subject amongst us car enthusiasts. The idea of handing over any kind of control to the machines is frowned upon, and there’s always the worry in the back of our heads that the better autonomous systems get, the more driving the ‘old fashioned way’ is likely to be banned entirely. However, I’m really starting to like Pilot Assist. Yes, it’s not perfect (I often find I have to ‘nudge’ the car to get the optimum lane position) and yes, you’re not handing over control entirely, but it appeals to me. I spend a shocking amount of my life trundling around the hateful ring of hell encompassing London known as the M25, and when I’m doing that and other motorway journeys, I’m more than happy to get a little assistance to get me to my destination fresher and less grumpy. There’s also the reassurance that Pilot Assist and the XC60’s vast array of other safety systems - including the ‘City Safety’ collision avoidance measures - considerably lower the chance of something nasty happening on my way home. The XC60 may have been a massive seller in Europe for the last few years, but there’s no denying that the German big three of Audi, BMW and Mercedes are big hitters in this corner of the market. 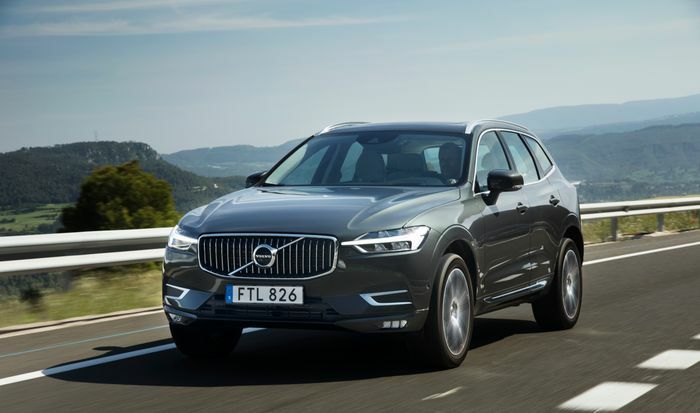 The Q5, X3 and Mercedes GLC all sell by the truck-load, but putting an ill-fitting SUV buyer hat on, I’d happily eschew the lot for the Swedish XC60. 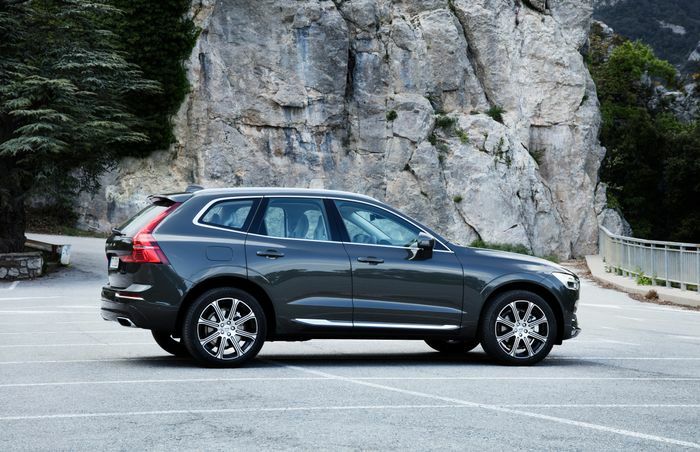 As with the S90 and V90, the XC60 is refreshingly different from the offerings of Ingolstadt, Munich and Stuttgart. It’s classier. Less aggressive. Less vulgar. Friendlier, somehow. Like the bigger XC90, this is an SUV you can buy without worrying the world is going to hate you. That said, when driving one of these, you’re unlikely to care. You’ll be much too relaxed.